So when to launch off for the Galapagos? We spent a bit of a rolling night at anchor and awoke to another hot still morning. I think I said before that we all turn in at about 20.30 because it is dark. I try to read but pretty much fall asleep straight away. That means I am fully awake by about 0430 when I get up and go out and look at the stars. They are incredible, even here where there is still a small amount of background light. The milky way is clearly visible but the normal constellations we see in the UK are not there. No pole star or plough, so I am trying to learn the new ones here. I have a great app on my i-pad which tells me what I need to know. Venus is the brightest in the sky followed by Jupiter . Mars actually does look slightly red which again you can’ t see back home. The one to navigate on here is the Southern Cross which is low and just west of south. One I have not seen before and which is magnificent is Scorpio. 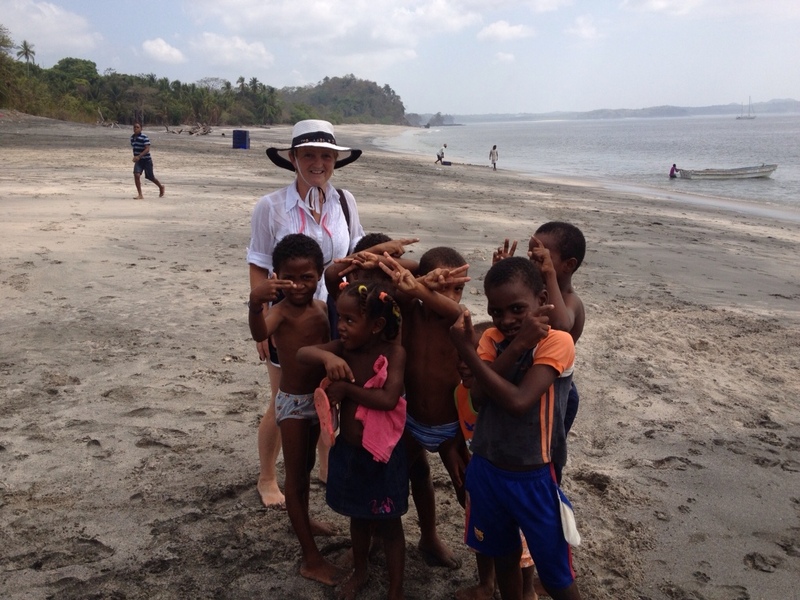 We took the dinghy out today and visited the local village of Esmerlda. 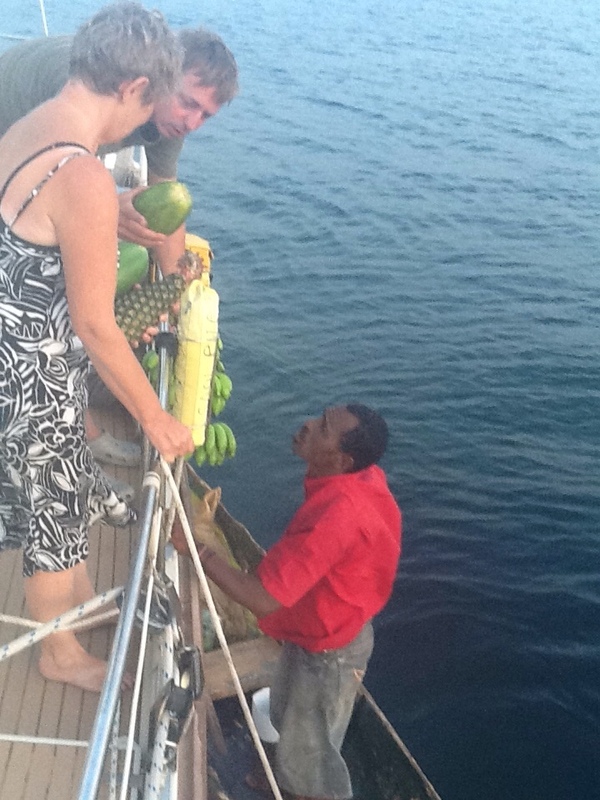 When we anchored yesterday this guy paddled out about half a mile to say hello and ask did we want to buy any fruit. We said possibly and he paddled back and reappeared a bit later with papaya pineapple and bananas. When we approached the beach today in the dinghy he was there to meet us and give us the grand tour. The people were all very friendly and none of the tourist rip off stuff I have seen elsewhere. Beers 85 cents, cheaper than Panama. There are a couple of photos which will help capture the atmosphere. In Panama, I went to the equivalent of the pound shop and bought lots of colouring books, pencils, sharpeners, etc etc to give away to the kids. I took some today and a few of the kids were very happy.Thanks for the idea Jeremy if you are out there. Back to the question in hand which is when are we going to launch off. Answer is I don’t know. We will try to pick up a weather forecast later this evening by radio. The way the radio works, the signal only tends to get through at night so we will have fresh data in the morning. We don’t really want to put to sea unless there is sufficient forecast wind that we can sail most of the way. It is about a further 800 miles and with luck will take about 7 days. Fingers crossed for tomorrow. I have been gone for just over three of my 15 weeks so am keen to crack on. More later…. « No wind means no sailing!